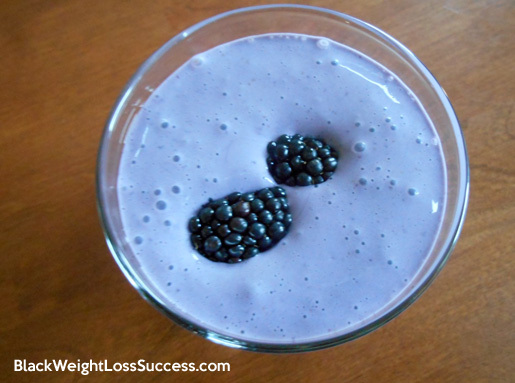 Looking for a low calorie, high protein smoothie that will help tame your sweet tooth? We’ve got the smoothie for you. 261 calories and 30.5 grams of protein. 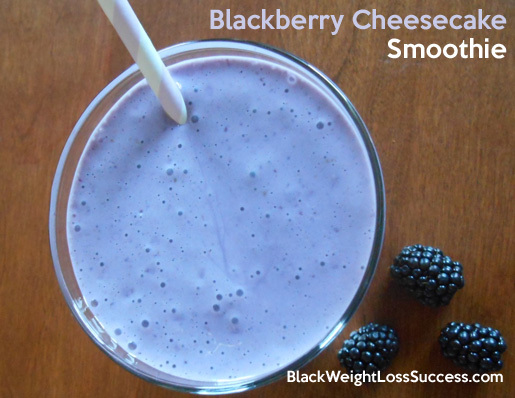 High protein, low calorie smoothie. Great for cheesecake lovers. Load the ingredients into your blender. 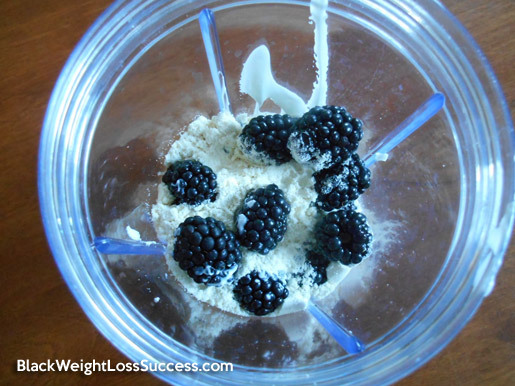 Start with the ice, cream cheese and blackberries. Then add the yogurt and protein powder. Blend until the ice is broken down. If you have a traditional blender, blend on the highest setting to crush the ice. Protein Powder: You can use the protein powder that you like. I used the Vanilla version of Amplify Smoothie by NDS. Purchased it at GNC and it has no artificial flavors, no sweeteners or preservatives. 20 grams of protein, 2 grams of sugar and 4 grams of carbs. I blended everything up in my trusty Nutribullet. This photo includes all of the ingredients, except water. What I learned was that I should have put the yogurt in last because some of it stuck to the top of the Nutribullet blending cup. I had to take it off of the base and shake the cup to get to some of it to blend into the mix. Then, I blended for another 20 seconds. The finished product was a bright, beautiful lavender color. Delicious and perfect for cheesecake lovers.